While real estate sales are transactional, the pre-transaction nurturing and post-transaction referral generation are not. Engaging clients and prospects on social media is increasingly key to this nurturing and referral generation process. Realtors and mortgage brokers are selecting quality articles from relevant sites, commenting on them and sharing their links. Clients and prospects benefit from receiving quality and relevant content that are pre-filtered and put in context by a professional. 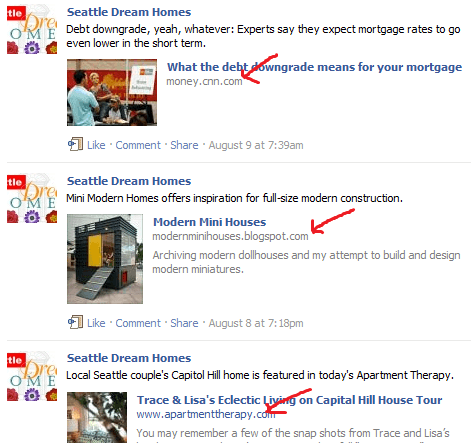 Here’re 30 sites that realtors & mortgage brokerscan curate content from. This realtor marketing post is the second in a series presenting sector-specific sites for content curation. Not for only specific industry, but social media is catering all different types of industries with social media platforms. Many mortgage brokers prefer social media in order to reach and engage quality consumers with the help of content curation. You’re right, Jason. Social media is used across multiple industries to reach clients and prospects, and content curation is an important part of that engagement. Thanks for your comments! Nice post to go through. Now a days Social Media like Facebook and Twitter are the ways of marketing your business well. So I advice everyone to utilize the power of Social Media in this regards. Hi Bryan, Thanks for your feedback. Yes, social media is becomingly an increasing important business tool to reach clients and prospects. Thanks for dropping by!